PLEASE delete it. It really did cost one of my clients about $500 to get her website and domain fixed after these jerks took her money too. The emails look very legitimate; they are offering you to renew, and the "offer" is what is expiring, not your emails. But for busy small business owners that don't understand the terminolgy and language of cyberspace, it is misleading and they are trying to scare you into thinking your domain is expiring and you must renew it. Ok, enough said about that. Have a Happy New Year! As a business advisor, I see many small businesses that are start-ups, or many that have been in business and they are just now at the point where they want to tackle social media and the owners just don't know what to do first. When I give them their list of social media accounts to create, I usually see a twinge of fear. Social Media can be very overwhelming! Especially for those of us who grew up without a smart phone attached to our hips, or, OMG, us really old people that didn't have a computer because they weren't invented yet. 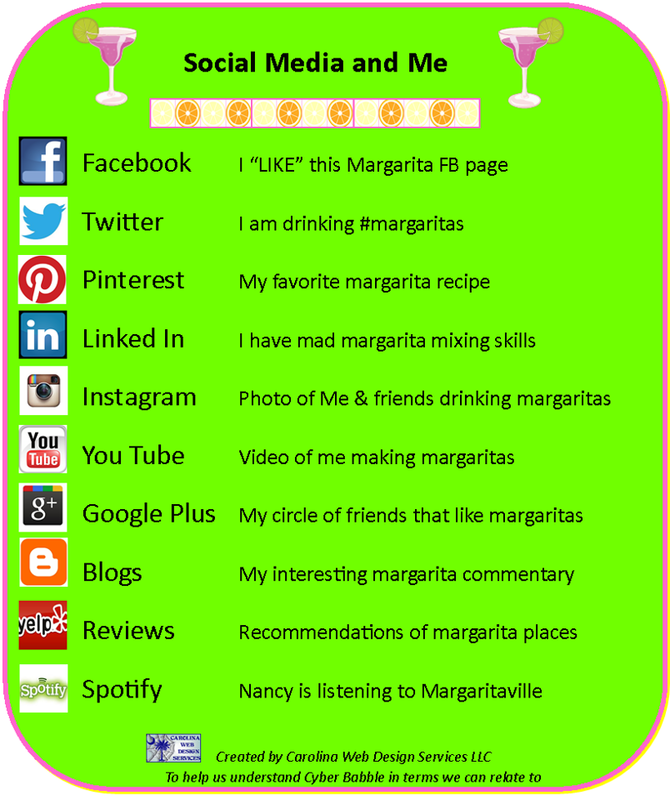 I try to break down social media into easy steps for my clients to follow. To me, the most important social media account a small business can create is, hands down, a Facebook Business page. Most of us are very active on Facebook on a personal level, although I have had several clients sit in my office and look me straight in the eye and say, I'm not making a Facebook account and you can't make me.... Like I say over and over, the Internet is NOT a trend. We need to embrace its capabilities and take advantage of free resources that will help our businesses grow. As a business owner, it is your responsibility to learn how to help your business. Mainly because your competitor down the street is already using Facebook and other social media platforms, and you are just giving him your business. Or maybe he isn't yet, so now it's your turn to grab more market share! So anyone can do this. Easy Peasy. Go to Facebook.com and create your page - the site will walk you through it. Add your logo as a profile picture and your store front or products as a banner photo, and boom, you are done. Now what? Well, this is where I can help you. Here are a few tips that will help increase the visibility of your posts. 2)	Always post with a picture. If you are posting a product, you will want to add it to your online store first, so you can include the URL/Web address/domain in the post and your fb fans can go straight to the store from that post and purchase that item. (We did that this morning with the strap cutters). 3)	Hashtag items that would be indexed – example, name of product and if it would be a gift, mother’s day, etc. # hashtagged items can’t have a space, or it loses the index. 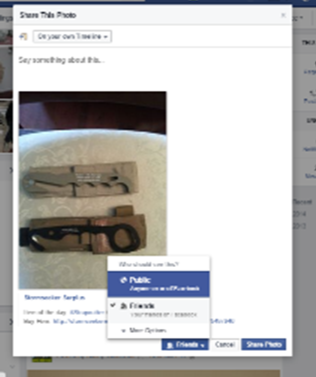 This is what we posted this morning: Instead of saying: Strap Cutter, great Stocking Stuffer, we hash tagged them so they would show up as an indexed item that would show up on search results: #StrapCutter #StockingStuffer, be sure you don’t leave a space between the words in your phrase. 4)	Add a photo – we added the same photo of the item that we used to create the item on the website. 5)	Add a link to that item that points directly to the store item so your fans can buy it now online. 6)	This will Automagically be on your connected Twitter account - you don’t have to repost there. Keep in mind, the more people that LIKE and SHARE your post, the more visibility you will have - ask the people that work for you to do this too! And that is how you post – I know it sounds like a lot, but it will be automatic soon! Please visit my https://www.facebook.com/CarolinaWebDesignServicesLlc" target="_blank">Facebook business page for more tips to help your small business. It’s no secret that Google’s ranking algorithm is a huge secret. Is ranking an enigma? Not really, use relevant content on your website; write for humans and not spider-bots and you will naturally help increase your website’s ranking. Google is now looking at everything you write, not just key words, phrases, and paragraphs – there are over 200 dynamics that are taken into account. The key is still content – write unique work/verbiage/text. Don’t copy your information from another site, Google is smarter than your 8th grade English teacher and knows if you have stolen your content. Look at your website as a basic conversation about your products and services, but not above the middle school level. Keep it simple – write for your audience, not your peers. Google also rewards frequent updating. Many sites don’t really need frequent updates, and that is where a blog about your business or industry would be very helpful. You can pay for companies to help you do this, or you can do it yourself – just beware of any SEO/SEM company that promises you #1 page ranking, as that is not a guarantee anyone can offer, not even Mr. Google. There are things companies can do that will help you improve your ranking, but there are not magic shortcuts to search engine optimization. If you create content for your website and Facebook business page that is readable and relevant to your customers, then you should naturally rank well. I always say, just think of what your customers would Google to find you. How would they phrase it? What words would they use? Write those things down and then think about how you can connect with them. An FAQ page can help cover many questions and phrases about your business. So what is the “secret” to ranking well? The secret is not being secretive; write about your products and services in a conversational way so that your customers can understand your business, frequently update your website, and use original content. That should cover the 200 aspects that Google looks at when ranking your website. Here is a great short video from marketing Guru Eric Spellmann: http://www.pinterest.com/pin/109493834664212648/ He has a great way of explaining this confusing topic in plain English. I attended an awesome ASBDC conference last week. 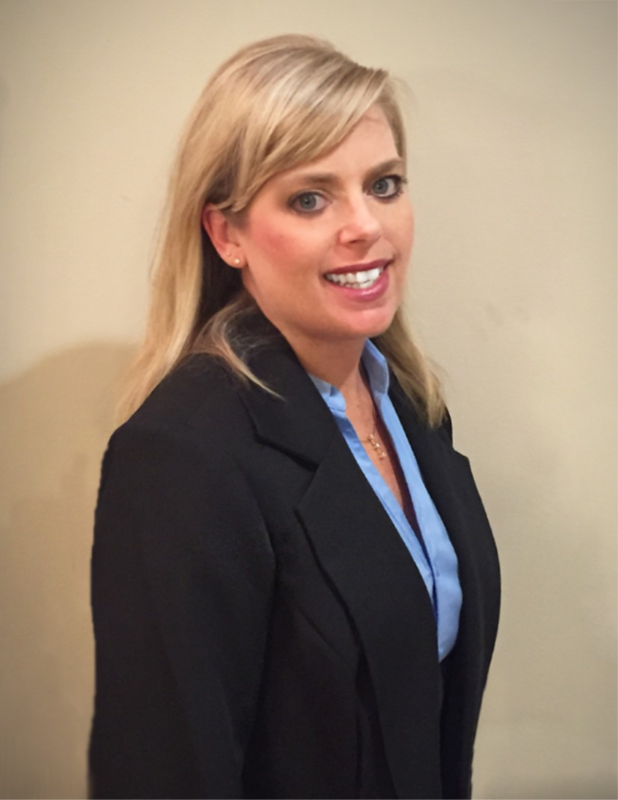 I am not only a small business owner myself, but I do run the Newberry Area SBDC, located at Newberry College. So, when I'm not focusing on my personal business clients, I am helping Newberry County residence with their businesses as well. My personal business philosophy is the same as the Small Business Development Centers (SBDC): Teach, train, empower small businesses; I share with them the knowledge that I have to help them succeed so they can be more successful. Many time folks come in for a loan and I can't help them with that because of other circumstances (normally credit score), so I say.... BUT WAIT, I'm sure there is something else I can help you with. The SBDCs are the best kept secrets around; they are run on grants by federal, state, and local municipalities, and many banks and local economic development groups also help support them. In my particular case, Newberry College houses me and donates all of the overhead and IT support for my office. I love working with small businesses, and my goal is to get them all on-line so they can at least be found, and this will naturally help their businesses grow. I offer several "learn to build a website" workshops throughout the year. I have found though, that many small business owners are swamped and either can't take the time off to take the classes or simply do not want to learn. After years of trying to cheer them, (come on, YOU can do it! Let's build your site together! Blah blah blah), I finally started my business last fall to focus on the entrepreneurs that don't have time to come to the SBDC. That is where my business, Carolina Web Design Services LLC, comes in. My philosophy is the same: I teach them how to maintain it after it is built so they don't have to depend on someone else to make edits, or pay someone else to make changes. Many web designers think I'm a fool; yes, I could make more money if I made them depend on me, but then, how well would I sleep at night? Google has 95% market share of all the searches done on the Internet. HMMMM....so they are the King. They are also preaching to small businesses to get on-line, and they make it pretty easy. They have a great GYBO (get your business online) program and they travel from state to state trying to help businesses. It's a win win: they have better content for people searching, and businesses get found! It is a free program the first year, and then it costs less than $10 a month after the first year. You get 3 pages, which is the minimal amount that any business should have. They also have templates and it is a very affordable and easy option. Who else was at my conference? Many guest speakers and experts. They all concurred - follow Google's rules and take advantage of Google Plus and Google Places (this is what I preach to all my clients). So is there another option, do you have to go Google? No, you don't, so here is another option. GoDaddy also spoke at my conference. They have a free page if you purchase a domain from them. I can't say that I love working with GoDaddy's websites (sorry Daddy), but I can say that I've recommended them a ton and since they were nice enough to share their discount with me for my clients, I thought I'd share it with you too. Here is the GoDaddy discount promo they shared with us: 25% off your domain using promo code EXPO25. Many times my clients will purchase their domains from GoDaddy, have them for years, and then not know what to do next. Well, you can come to the SBDC for help (that is free), or you can pay a web designer, oh, like say, ME, to help you. I'm not a fan of using their web design products, but I can point that domain anywhere. They also have very reasonable email options. My personal favorite? Well, I have several, but for training purposes and Small Business Owner's ease of editing after I make it, I use an on-line template based company. There is no pricey software to download, and no coding or Kling-On knowledge required. I offer an illustrated instruction guide so that my clients can edit their site themselves, or they can hire me to edit. Although remember, my goal is for the business owner to become EMPOWERED and not dependent on me. More on that later. Just remember: Google is King of the Internet, and Google's spiderbots love good, unique content. Give that to them in form of blogs or keyword rich content/berbiage on your pages. Don't over fluff with keywords though - your website should be built for your HUMAN customers, not for the spiderbots. If you build it for your target market, then spiders will naturally have lots of great content to work with. Think of it this way. You are out in the middle of the country (the Internet) and you build a fabulous Margarita Bar (your products or services). The problem is, no one knows you are there! You have to get a huge flashy billboard and then build more signs that point to your business (register on Google Places and other search sites). Then you need to tell your friends and family to come out and patronize you (build a Facebook Business Page), and then they need to spread the news about your new business using word of mouth (Facebook Business Page "likes" are virtual word of mouth recommendations). As the news gets out, more and more people are coming to hang out at your place. Your business will grow, but not overnight. A website helps you, but it is still a way to market your business, and you need to take advantage of all of the marketing vehicles out there so that each piece builds your overall web presence in a synergistic way. 1. Promotion starts earlier than you think! Choose a domain name that reflects your business and area if possible. Example: www.ChapinWebDesign.com that is one that I have that points to my www.CarolinaWebDesignServices.com site. 3. Create other social media accounts and link them to your site: Linked In, Twitter, etc. 4. Make sure you have a mobile version of your site - Duda.com does this free, and so do most hosts. 10. Promote your domain/URL/ Website address in your email signature with a hyperlink, on your business cards, invoices, everywhere! If you need help with any of these steps, please contact me! I not only build websites, but I also help small business owners promote their business online and TEACH them how to understand social media and internet marketing. My goal is to help you understand how this all works together so your business can be a huge success! I want your business to take advantage of all of the free ways to improve your SEO (or page ranking). Then once you have done all of the organic SEO you can, I can teach you how to advertise on Google and Facebook. I even have $100 Google AdWords certificates for my clients to use when they spend $25 on Google advertising. Please call or email me to get your $100 Google AdWords certificate! (803) 629-0101, or Nancy@CarolinaWebDesignServices.com. Get rid of FLASH!, get rid of extra graphics - google bots can't read or interpret flash or graphics. Remeber WHY you have a website (and please don't make it ugly or too wordy), you still want your viewer to be able to navigate your site and convert to a lead or sale! B. How are they Ranked? Please post a comment to my Blog page if you have any tips to help small businesses improve their SEO! as the song says, "Let's give them something to talk about." Word of mouth can make the phone ring and lead to new business. I get a lot of word of mouth and our phone rings and emails buzz everyday with people who have heard about us through word of mouth and other strategies. Here's a check list of ideas I hope you're executing now or plan on executing in the future. Don't try to do all of these at once. Start a new one each month (or even every other month) and pretty soon you'll have a word-of-mouth machine in place. "Ritz" treatment in whatever fits your business. Point A to Point B in a short period of time. sometimes bring your staff with you. They need to see what you do anyway. come from members of your staff as they work with your clients. do - and give time frames. Then make sure you keep your promise. just be fun to work with. Okay, some prospects and clients don't want that. care) - so they feel safe talking about you to others. On another note - be sure to thank those people that take the time to "LIKE" you on your Facebook business page. By thanking them with a quick sentence and your Facebook business page URL in the post, you will be sure to make your friend feel appreciated and create more awareness about your business (their friends and family may LIKE your page as well). Good manners are never wasted!